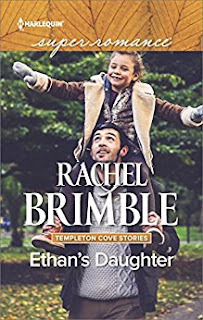 Rachel Brimble is the author of the new novel Ethan's Daughter, part of her Templeton Cove series, which also includes Finding Justice and Christmas at the Cove. She lives near Bath, England. Q: How did you come up with the idea for Ethan's Daughter, and how does it tie in with your previous Templeton Cove novels? A: Romantic suspense is my one of my favorite sub-genres to write and I was searching around for a new Templeton Cove story. I kept coming up with ideas and discarding them when the heroine in Ethan’s Daughter, Leah Dixon, pushed herself forward. Leah briefly appeared in three previous novels so I knew she wasn’t going to go away quietly! She is feisty, brave and has known heartbreak; she was the perfect person to “heal” my damaged hero, Ethan James. I wanted to write an author hero and once I threw in his gorgeous daughter, Daisy, I knew the story had to revolve around her safety. The rest is history! Q: How did you decide to focus on romance novels? A: Because I love love! I am a true romantic at heart and get moved by so many things that I was drawn to share stories through emotion. 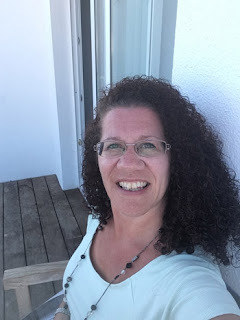 I write mainstream romance, romantic suspense and Victorian romance and no matter the setting, the core of the books are built in the character’s hurts, joys and experiences. 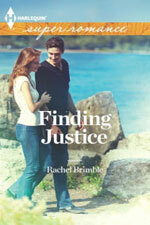 Romance gives hope in a world that seems to be becoming engulfed in danger, heartbreak and loss. If I can give readers an escape for a few hours that leaves them remembering the good feelings in life, then my job is done. A: I am a total plotter so I do know the end before I start the actual writing, but not when I start plotting. Some writers know the ending from the germ of an idea and have to work backwards to work out how to get to that point. My planning is very linear and I work out each chapter from the first to the last in sequence. A: I have so many, but my absolute favorites are Nora Roberts, Jill Shalvis, Teri Wilson and Alex Grecian. A: I am currently revising my latest romantic suspense and will soon be finished. After that, I can start on a brand new mainstream romance which has been patiently waiting in the wings. At the moment, it will be a stand-alone, but if the characters want more, I hope it will become a brand new series. A: Yes! My latest romantic suspense, If I Want You, is out Nov. 8 and is one of my favorite books EVER! 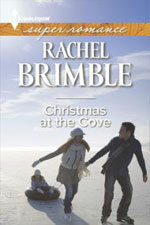 In the New Year, I have the eighth and final installment of my Templeton Cove series being released. A Stranger In The Cove is a mainstream romance with (I think) one of my sexiest heroes to date. Out Jan 2018, don’t miss it!